My first read of Spring Break 2014 (although, to be fair, I read about 90% of it the week before spring break when Sam was sick and neither one of us was sleeping) was the brand new young-adult novel Panic by Lauren Oliver. I’m not at all surprised to hear that this book has already been picked up for a screen adaptation… Though some parts of the plot felt a little “far fetched” to me (like the fact that teenagers could actually organize and get away with this stuff and the random appearance of some tigers), it has all the elements to make a big Blockbuster. I will definitely see it. Now, like I ask my kids to do whenever we finish a book in class, if I had to “score” this one on a scale of 1 – 10 (1 being the worst book you’ve ever read and 10 being the best)… It would get a solid 6… Although I wouldn’t call it a “favorite” (not by a long shot), this is a book that I feel comfortable recommending to my students (it was pretty clean – although violent and quite dark at times), or anyone looking for an easy but intriguing read. It is a book you could definitely read in a day or two at the pool this summer – it will make you think about the nature of fear and how far you would go for money, but it won’t keep you awake at night or leave much of a lasting impression. Just my two cents. 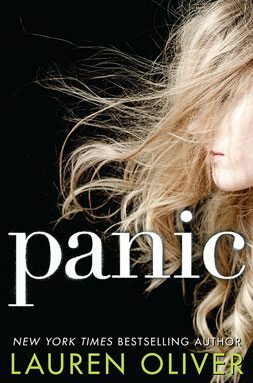 Have you read Panic or anything else by Lauren Oliver? I’d love to hear your thoughts/reviews in the comments! Hidden by Catherine McKenzie – I’m about halfway through this one (my first Amazon Prime rental – pretty cool) and, though I don’t love the fact that the husband – who’s name is Jeff – is killed in the first chapter and found to be having an affair with a woman from work, the book is good so far. Typical, but good. lol…OMG! : What Every Student Needs to Know about Online Reputation Management, Digital Citizenship, and Cyberbullying by Matt Ivester – I’m reading this one for a project I’m working on at school, but I’m actually looking forward to the subject matter, and the author’s voice seems like it will keep my attention pretty well. This so makes me wish we lived closer and could talk about YA in real life. 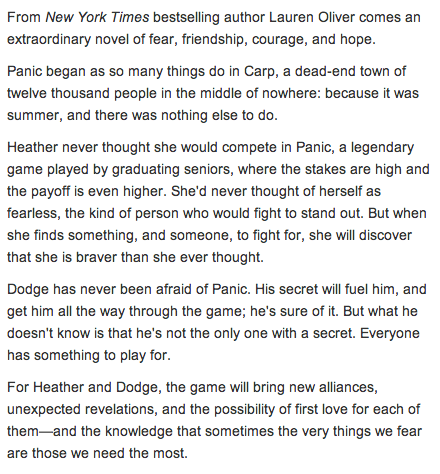 I have read the Delirium series, and I enjoyed them, but her book Before I Fall BLEW MY MIND. I haven’t read Panic yet, but it is in my library queue. I dedicate on of my bulletin boards in my classroom to all the books I read each year and am always looking for good suggestions. Let’s compare notes sometime! I love good recommendations for my students (and myself;-)). I have not read any by this particular author…so thank you! Have you read The Raven Boys (series)? The last book has not been released by my students really have been taken with it so far! celebrity plastic surgery news and okulista dzieciecy szczecin slowackiego.